Do not modify the chair in any way, nor should you utilize another manufacturers’ components as attachments to our products. Do not use the apparatus if it shows sign of severe wear, or if broken or damaged. Keep body, hair and clothing away from all moving parts. Be aware that personal accessories (such as Jewelry) can easily damage vinyl covering of equipment and can easily become entangled with moving parts of equipment. We highly recommend that clients be requested to remove any item of jewelry that has sharp edges or protrudes or hangs away from the body. Never allow children to be around or on equipment. A weekly inspection of your springs is critical due to the potential of serious injury resulting from spring failure. Springs should be immediately replaced if any distortion to the appearance of springs is observed or any unusual sounds emanate from the springs. The average life of chair springs should be 18 months if the chair is continuously used (average 4 hours per day). Wipe all equipment down daily with a heavily diluted soapy solution. Dry thoroughly. Tighten any hex head bolts or nuts with standard wrenches. Tighten any loose eyebolts with a wrench, inserting the blade of a screwdriver through the “eye” and turning until tight and secure. The Phillips screws used to secure various components on the equipment will rarely need tightening beyond their initial installation. In the rare instance that you detect a loose screw, use the Phillips screwdriver to tighten. For a squeaky hinge, use a dry silicon spray. 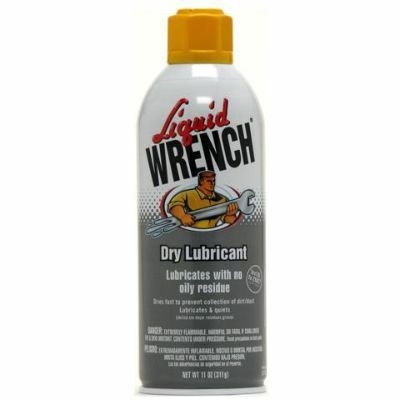 I recommend Liquid Wrench Dry Lubricant. to wipe up any excess overspray on the wood.